What is the safest way to carry goods inside a vehicle? What is the safest way to carry goods inside a vehicle? If you drive a sedan (saloon), the safest place to carry items is in the boot. This is because any forward momentum will be stopped by the seats. If you drive a hatchback, the safest place is to store them in the boot with the cargo blind/parcel shelf covering them. This will also constrain the items if you have to brake sharply. If you drive a station wagon or SUV, using the cargo blind in a similar way to the hatchback will help prevent items moving around. If you don't have a cargo blind, or you need to carry items that extend above the level of the seats, the safest way is to get a cargo net. Station wagons often come with fixtures to attach one that will prevent items from entering the passenger area. If you have a few smaller items you can use an elasticated cargo net. Some vehicles come with one, such as this in an Audi S3. In an accident, passengers will not be able to keep hold of anything they are holding because of the force. Also, any item on the back seats, or above the level of the back seats, will become a projectile moving forwards at the same speed that you were doing before you crashed. Heavier items can cause serious injury and even death. Extremely heavy items could pass through your windshield and then injure someone else. Most cats do not like travelling as they are taken out of their territory and feel vulnerable. While cats love exploring their own territory, the fear of the unknown is strong. It's extremely dangerous to have a cat loose in the car as cats do not take direction well and will either try to escape, or could become a distraction to the driver by climbing around. You need a good, solid pet cage with a waterproof base in case the cat urinates or becomes sick. It's best to have a cage with good air flow so that the cat does not overheat. Putting the cat in the boot of a hatchback is not a good idea as the sun could beat down through the rear window and there's very little airflow. A large cage is not necessarily better. Put the cage somewhere where it will be secure - if you can get the seat belt around the cage, do it; if you can block the cage with another piece of luggage, this is an alternative. Don't leave your cat in the car if the weather is hot. They can overheat in a matter of a few minutes. The cat will almost certainly be vocal initially, but should settle down eventually. Unlike cats, dogs see getting in the car as an adventure and like travelling. Dogs can overheat quickly in a hot car, just like cats. Make sure to bring water and a bowl if your journey is more than a couple of hours. Carrying your dog in a pet crate is the safest way. 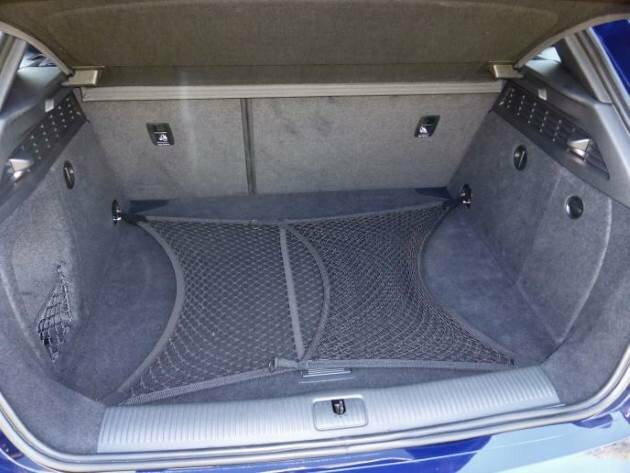 You can also put them in the boot if they are a larger dog, preferably with a cage like the one shown above to stop them from entering the passenger compartment. Again, watch for overheating if they are in the boot. Turn off power windows as it's easy for the dog to open them accidentally with the press of a paw. While it's definitely possible to carry sheep and goats in a car, consider whether they would be better being in a cage trailer with good airflow. Horses and cows can be transported in a box trailer or horse float, again making sure that the animal's needs are cared for. Small animals such as rodents and birds can be transported in a cage. Ensure the cage is secure and won't move forwards when braking.